You are here: Home / Blog / Cosmetic Dentistry / Reviews from our Canadian and American happy patients! 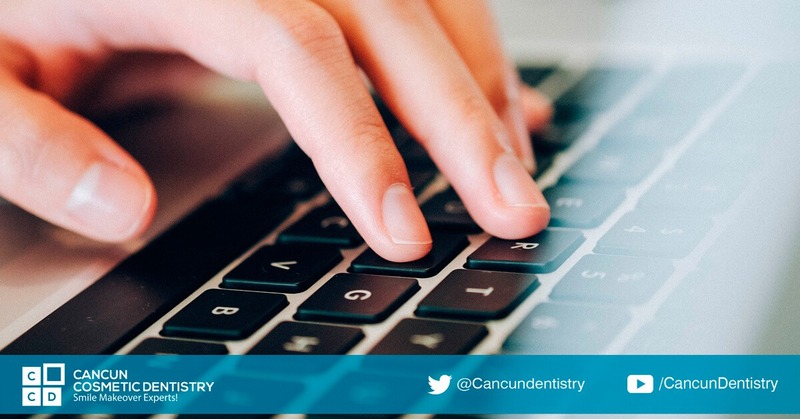 We feel so honored to have had a couple of our Canadian and American patients doing reviews of Cancun Cosmetic Dentistry and sharing them with us. We strive to provide the most pleasant experience during your vacation no matter what dental treatment you are getting. Even though dental tourism in Mexico is growing exponentially we are still leaders on cosmetic and implant dentistry. In fact, we are having special promotions right now that can help you save even more. Make sure to call and check our current deals and offers. I love you doctor Vicky! I hope to see you again when I come back!! She has never ending patience, very professional in her own craft. Dr. Cesar, the action man, the speedy man as professional. Everyone attended to my needs, they treated me so special and I was so happy with my experience. Once you entered the clinic, you will suddenly feel the professionalism of the doctors. Hats off to Dr. German, you are a great instrument to Cancun Tourism. You don’t just make the tourist experience the fantastic stay or vacation in Cancun, but you bring back the smile and confidence of your patients!! You are the best! Words are not enough to describe the Cancun Cosmetic Dentistry family! Customer service is highly appreciated. Even though you feel the pain, one of them will surely make an assurance that everything will be alright. Love you all!! Words cannot express fully the gratitude I hope for your help, skill, and integrity performed throughout my experience with my transformation. Cancun Cosmetic Dentistry has restored my smile and confidence. In particular, Dr. Cesar is an exceptional person, thank you for everything you have done for me. I’m in your debt. As always, we thank you for trusting on our doctors and allowing us to be part of your transformation. We hope your new smiles bring joy and happiness not only to yourselves but also to everyone around you! You can also read a bigger compilations of our reviews here. More Cancun Cosmetic Dentistry video testimonials and reviews!